I have been involved with Citrix/Terminal Services/ VDI/EUC since the late 90’s and I think this announcement is further evidence of VMware’s commitment to the EUC and “Digital Workspace” market. Along with industry veterans like Ron Oglesby, Rick Dehlinger, Doug Brown, Simon Crosby and others that I relied on Brian’s website, blogs and the content he pulled together to further my and my customer’s successes with server based and other forms of session/application virtualization, sharing and delivery. I am excited to see what comes of Brian’s work at VMware! The VMware End-User Computing team has had an exciting couple of weeks as we introduced the industry’s first intelligence-driven digital workspace and announced the acquisition of the technology and team of E8 Security. However, we know that in addition to offering the best solutions at VMware, we also need the best people. 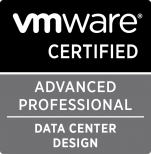 Today I’m proud […] The post Industry Expert Brian Madden Joins VMware EUC Team appeared first on VMware End-User Computing Blog .